False Lashes Can Be A Bother! False lashes on girls are usually very beautiful in as much as it is properly done. False lashes enhances beauty and it gives the eyes and face a sexier look. Some men also use it, but mostly men who are either homosexuals and/or bisexuals. Our number one African bad girl, Tiwa Savage was recently ill and was seen receiving injections by her doctor and she was being crybaby while at it. Her fans commented on the post and one particular fan caught my attention with her comment “Tiwa our baby, in sickness and in health still wearing lashes”. So the question ‘Can Tiwa ever do without them false lashes’ pops up. Would love to see her looks, without them lashes though. 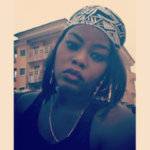 Get well Tiwa…we love you! Previous article DJ Cuppy Does A Live Performance Of Her New Song ‘WERK’ The Traditional Way.